Martha Stewart has great cooking shows on PBS. Actually, many good chefs have their special niche within cooking on PBS, and I enjoy watching the variety. From Vietnamese, Norwegian, Italian, Southern, and an emphasis on cooking fresh you can learn about different cultures and appreciate the beautiful foods God has given us to enjoy. I will be honest. The Fried Oyster Sandwich from Martha Stewart piqued my interest because of the homemade tartar sauce. 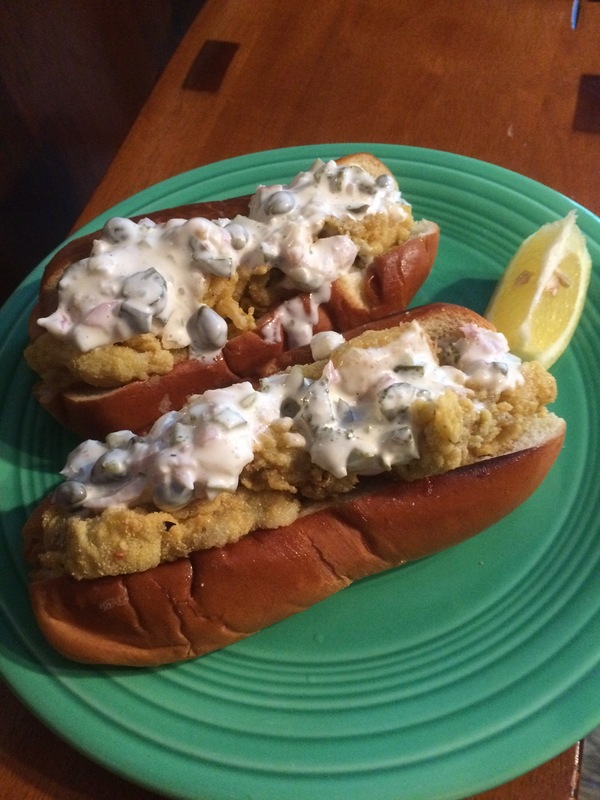 The tartar sauce had one of my favorite ingredients–capers! 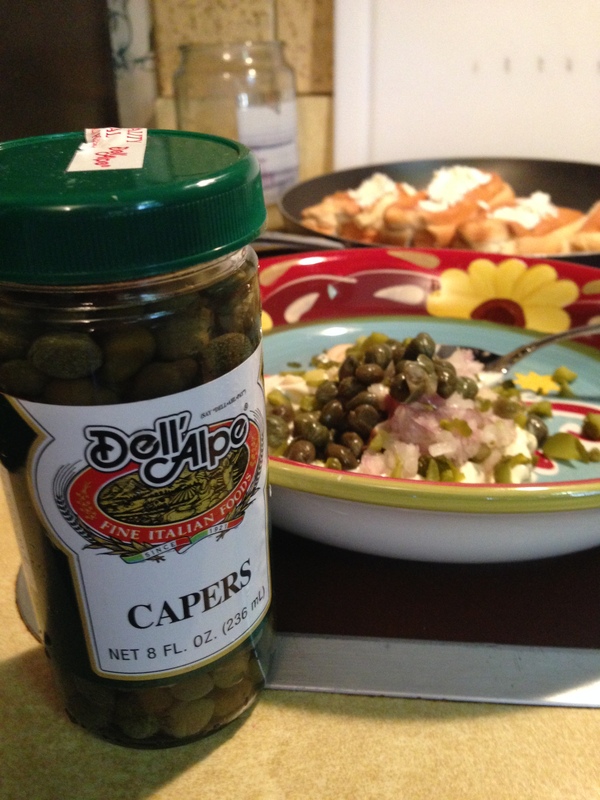 I love capers. The first time I had them was years ago at the Chamberlin Hotel in Hampton, VA with my oldest daughter Victoria. They served them with a pasta dish. I fell in love! Pictured below is the Chamberlin in its heyday. It’s now a retirement facility on a military base. As an older hotel, I can still conjure up the combination smell of the ocean, rustic hotel, pool, and the breakfast buffet. You had real keys to open your big wooden doors and older antique furniture. The hotel was not elaborate because of wealth. It was elaborate because of history and style. I’d give anything to stay the night there and remember the joy of the Chamberlin. My brothers would fish on the pier, and the game room and bikes provided great fun for the family. I was curious to know if there was any video footage taken of the hotel. The YouTube video after the picture is a historical account of the hotel. No wonder I loved it so much as a child! I did not realize that it was a hotel during the early 1900’s– a time period, that even as a child, I enjoyed learning about and imagined myself in long dresses with petticoats and parasols. 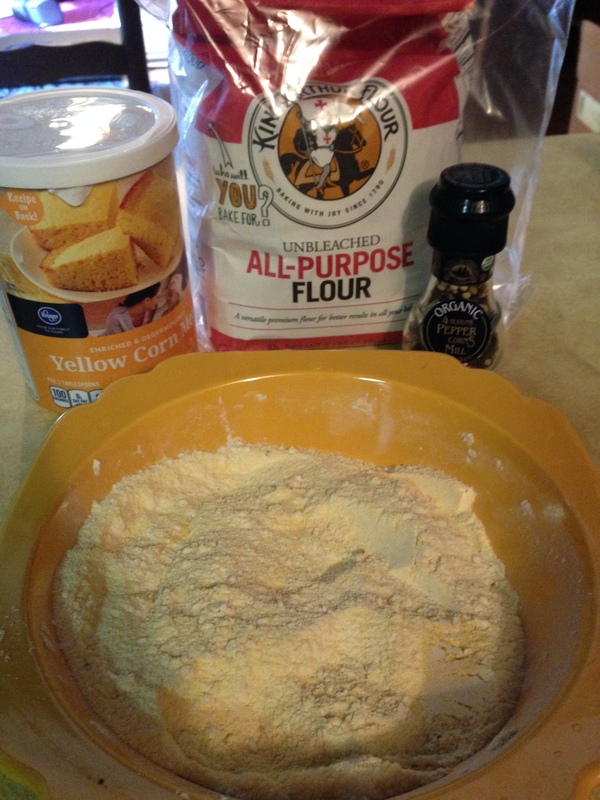 Mix together buttermilk, cayenne pepper, 1 teaspoon salt, and 1/2 teaspoon pepper in a medium bowl. Add oysters and turn to coat; let stand 5 minutes. Meanwhile, in a shallow dish, mix together cornmeal, flour, 1 teaspoon salt, 1/2 teaspoon pepper, and a pinch of cayenne; set aside. In a medium heavy-bottomed saucepan with high sides, heat oil to 350 degrees on a deep-fry thermometer. 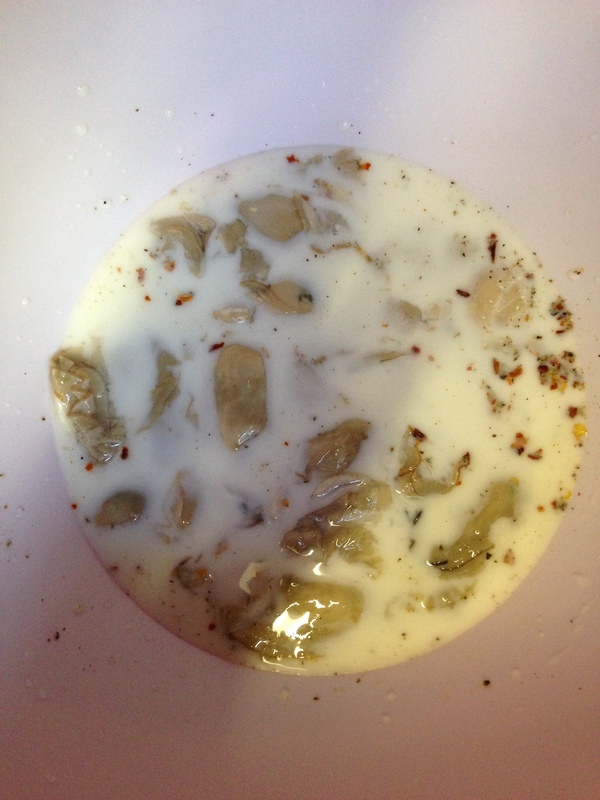 Dredge oysters in cornmeal mixture, shaking off any excess. 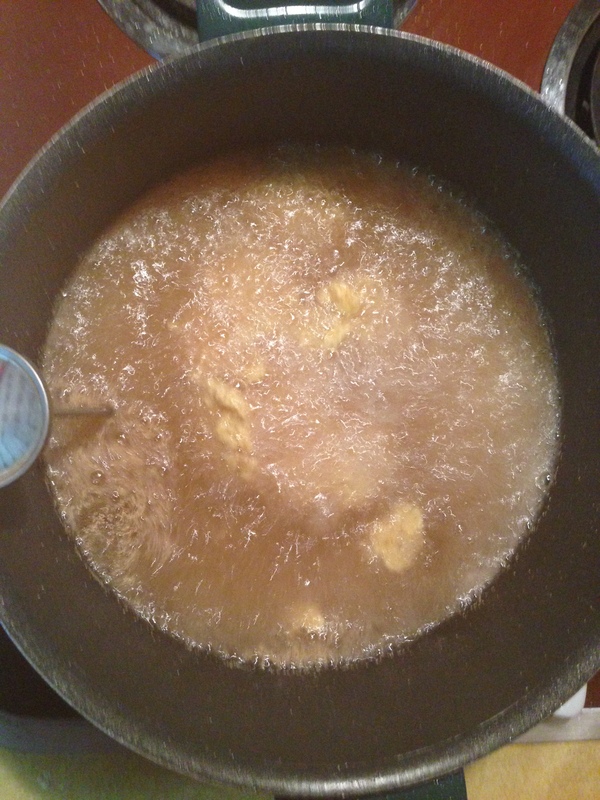 Working in batches, quickly and carefully add oysters to hot oil and cook, turning, until golden, 2 to 3 minutes. Using a slotted spoon, transfer oysters to a plate lined with paper towels; season with salt. Meanwhile, heat a large skillet over medium heat. 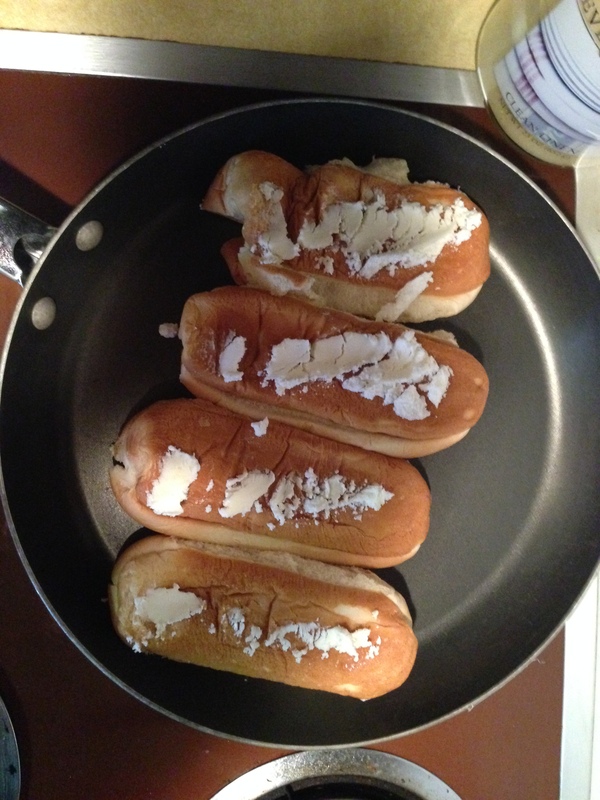 Spread butter on both sides of hot dog buns and place in the skillet on their sides, turning, until evenly browned. Too funny! I did not see the word “bottom”. We put the tartar sauce on top and it was just as good. 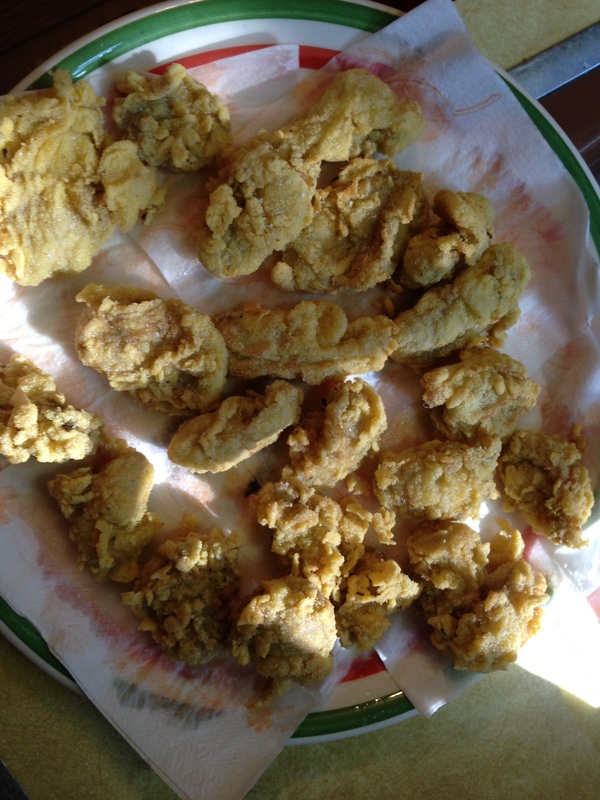 I guess having it on the bottom would make for a better presentation of the fried oysters! In a small bowl, whisk together mayonnaise, cornichons, shallot, capers, and lemon juice. Season with salt and pepper. Store covered in the refrigerator until ready to serve, for up to 2 days. Stir again just before serving.